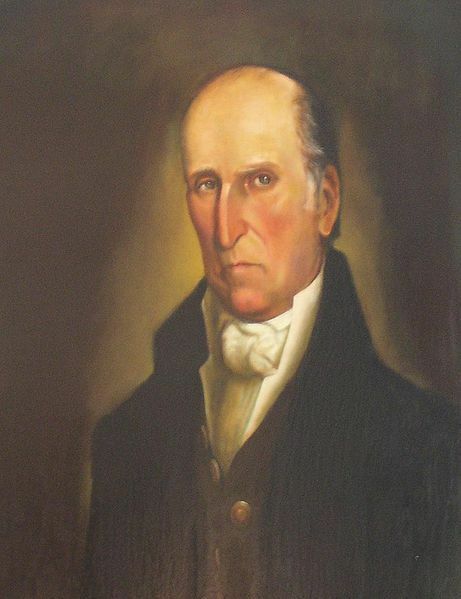 Andrew Pickens (September 13, 1739 – August 11, 1817) was a militia leader in the American Revolution and a member of the United States House of Representatives from South Carolina. Pickens was born in Bucks County, Pennsylvania, the son of Scots-Irish immigrants, Andrew Pickens, Sr. and Anne (nee Davis). His great-grandmother however was Esther-Jeanne Bonneau of South Carolina and La Rochelle, France. 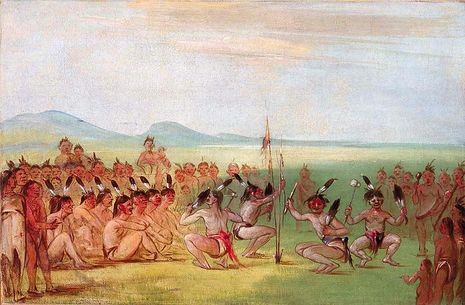 Starting in October 1785, Taboca, a Choctaw prophet/chief, led over 125 Choctaws to the Keowee, near Seneca Old Town, now known as Hopewell, South Carolina. After two months of travel, they met with U.S. representatives Benjamin Hawkins, Andrew Pickens, and Joseph Martin. In high Choctaw ceremonial symbolism, they named, adopted, smoked, and performed dances, revealing the complex and serious nature of Choctaw diplomacy. One such dance was the eagle tail dance. The Choctaw explained that the Bald Eagle, who has direct contact with the upper world of the sun, is a symbol of peace. Choctaw women painted in white would adopt and name commissioners as kin. Smoking sealed agreements between peoples and the shared pipes sanctified peace between the two nations.